I’m heading to the SMSWA annual event in Washington D.C. this week, I thought this would be a good primer (Booze Dancing’s article). 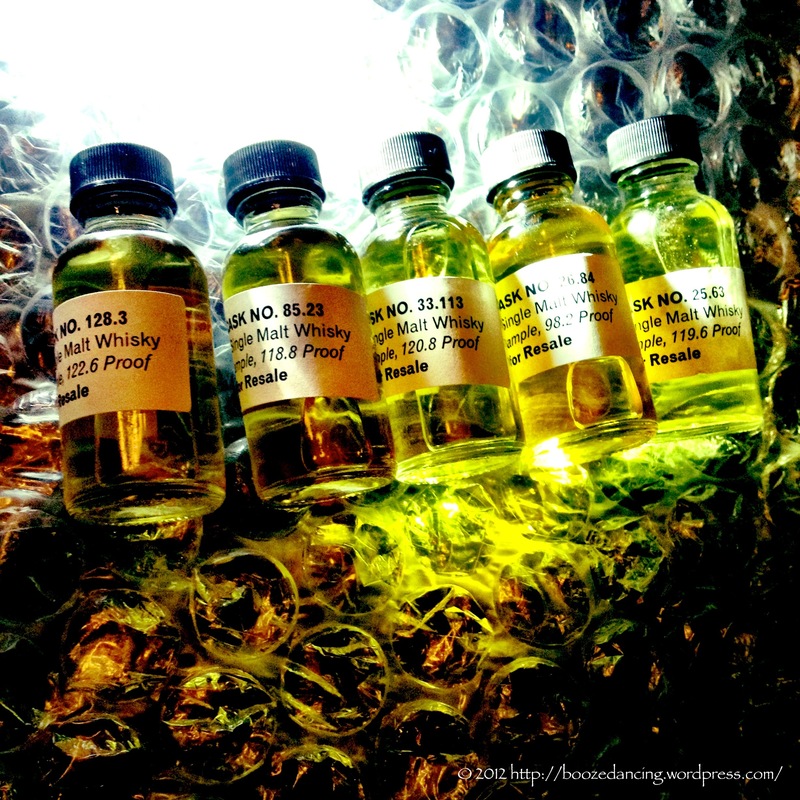 “G-LO does a great job and is far more thorough on tasting notes than I am. Enjoy! I can already hear the moans and groans when I say this (I’m looking at you Ed of The Dogs of Beer blog! ), but we have fallen way behind in our whisky reviews! I know I know. Poor us. Or perhaps I should say, “Pour us another drink!”. Cask No. 25.63 aka “Poire et poivre”. Cask No. 26.84 aka “Moorland after rain”. Cask No. 33.113 aka “Sweet, peaceful dreams”. Cask No. 85.23 aka “Burnt granary toast with bramble jelly”. Cask No. 128.3 aka “Chestnut puree and new hiking boots”. Thanks so much for the reblog! I’m headed to tonight’s event. Should be fun. Enjoy yourself tomorrow! You are quite welcome! Hope the event goes well. Me too! I’m curious to see what affect the rescheduling has on the vendors and attendance tonight. Half of the people I was going with can’t make it. But I guess I should be grateful that my immediate area was pretty much spared by Hurricane Sandy. The big affect for us is the whisky panel will not happen which was very entertaining last year. Ours was rescheduled as well due to Sandy. Not sure what that will do to turn out. The DC area is grateful that we sustained only high winds. A truly nasty storm. That’s a pity. I enjoy the Whisky Panel too. We are far enough inland that we didn’t see the problems that the Jersey Shore/North Jersey/NY experienced. Very very lucky!